Miss Earth 2017 Karen Ibasco arrived in Hanoi on January 30 to attend the opening ceremony of Tuyet Le Fashion Boutique. in all fairness! She looks radiant compared to when she was crowned and doing media interviews. 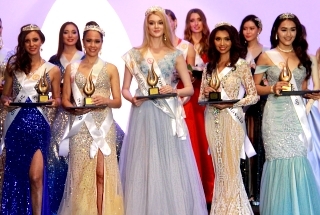 More travel to Miss Earth! Oo, nga parang nag soften ang look ni Karen Ibasco dyan sa mga photos na yan..... nag iba ba siya ng make up artist ???? Last edited by quelab22 on Thu Feb 01, 2018 5:35 am, edited 2 times in total. geloraseasis wrote: Miss Earth 2017 Karen Ibasco arrived in Hanoi on January 30 to attend the opening ceremony of Tuyet Le Fashion Boutique. She looks divine in these pictures. Very fresh aura. Bashers should stop hating her. She's very hard working and dedicated to the Organization's cause. 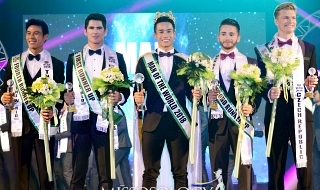 I noticed that the winner of Miss Earth is one of the most traveled queen in Big5. Let's be proud on what she's doing and what she achieved. She is proving her worth as Miss Earth. Virginia Dalisay wrote: Oo, nga parang nag soften ang look ni Karen Ibasco dyan sa mga photos na yan..... nag iba ba siya ng make up artist ???? This is, by far, the best looks/styling of Ibasco after winning. Peg her style and Make-up ala Marina Benipayo. and Keep in that way. she looks great doing that like on these photos. Well, from the start we are already pointing that out. But disappointed fans won't listen just because... they are disappointed, and somehow, they feel that the edited pics that circulated justifies their disappointment. Last edited by Busyboy on Thu Feb 01, 2018 5:48 am, edited 1 time in total. Well, from the start we are already pointing that out. But disappointed fans won't listen just because... they are disappointed, and somehow, they feel that the pictures which circulated justifies their disappointment. Last edited by quelab22 on Thu Feb 01, 2018 7:16 am, edited 1 time in total. I THOUGHT SHE MURDERED SOMEONE IN VIETNAM! Last edited by juicy_fruit146 on Thu Feb 01, 2018 6:13 am, edited 1 time in total. Bigla kong naguluhan kung anong camera ang dapat kong paniwalaan. Yung camera noong finals o yung camera ng kumuha nito. Jusme, bakit kayong manghang-mangha sa Myanmar/Vietnam level of beauty ni Sandra Oh kalokalike. Paola De Bracho 2.0 wrote: Bigla kong naguluhan kung anong camera ang dapat kong paniwalaan. You may choose to believe either of the two... As far as many of us can tell, both are true, excluding those photoshopped pictures showing Karen having deeply pockmarked face and heavily distorted lips. And yes, her picture where she looks awkward looking up to the crown while Espin is crowning her is also true. I am just happy that she shines now. SatiaGraja wrote: Jusme, bakit kayong manghang-mangha sa Myanmar/Vietnam level of beauty ni Sandra Oh kalokalike. We like what we saw so what's your deal? We know it, you don't like her and whatever she does, you won't ever like her. So can you please do yourself a favor? Don't visit any thread concerning her anymore. It would save you from heartache. Well, in the first place, she's really beautiful naman. she was never ugly. Her coronation night look wasn't her best. I think they've finally figured out the best styling and make up for her. Plus, nakapag pahinga na siya..
Again, in the first place, SHE'S NOT UGLY. MrManila wrote: in all fairness! She looks radiant compared to when she was crowned and doing media interviews. 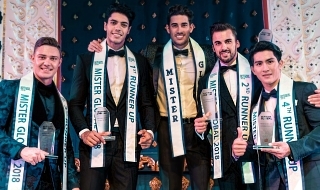 More travel to Miss Earth! She was taken ill during the finals. But Karen didn't want to disappoint and plowed on. The rest is history! Actually, I never find her or saw her as an ugly woman to begin with. The best way to describe her for me is she's a victim of a really bad styling choices that never highlighted her best features during the competition. But I'm glad that we see pictures of her like this, she's shining like a diamond. Based on this pics, it's safe to deduce that she's not letting the harsh criticisms get to her and stop her from doing her job as Miss Earth. This woman deserves redemption and a chance to prove that she's worthy of the crown and the tough responsibilities that goes with it. I remember her speech during the anniversary of her high school alma mater that she was sick prior to the finals night. So far this was the best style to date and possibly some of the judges at Timeless Beauty is now regretting over her low scores? she is not alpha female fgs!!! Karen's beauty is MILES ahead of Puertorico's, Gabriela Berríos Pagán, Viviana Ortiz Pastrana and Catalina Morales Gómez. Sorry, tell that to the board of judges. You are entitled but not to your own "truth". You may disagree with the judges, but your personal opinion will not alter the results, no matter the campaign against Ibasco's win. Like an esteemed professional that she is Karen Ibasco has never reacted violently against anyone who has demonized, vilified, and demeaned her persona by whatever conceivable means. She had unburdened herself with such equanimity explaining that for a woman with substance she should take negativity with a grain of salt and turn this in to her favor. Amen to that and by that alone, Karen has redeemed herself never mind the endless bashing that has gone beyond what is deemed acceptable. Her beauty from the inside permeates even with no strained effort. Last edited by beautywatchnyc on Thu Feb 01, 2018 2:22 pm, edited 1 time in total. Ang fresh. 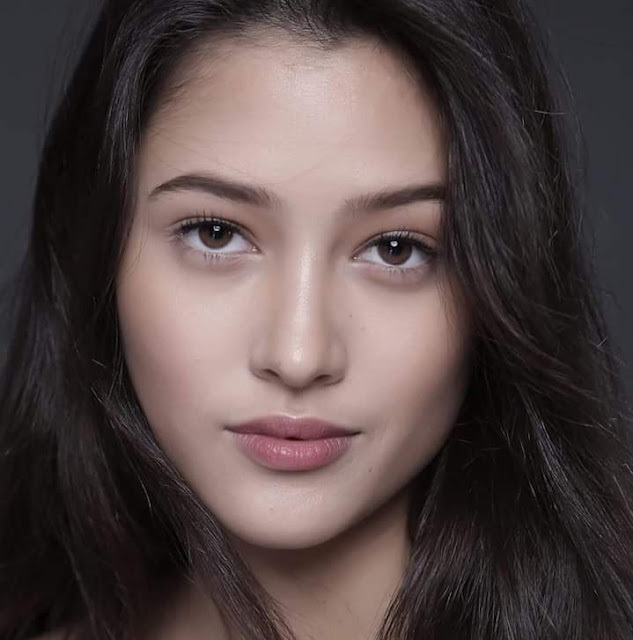 Ganda sya dito.